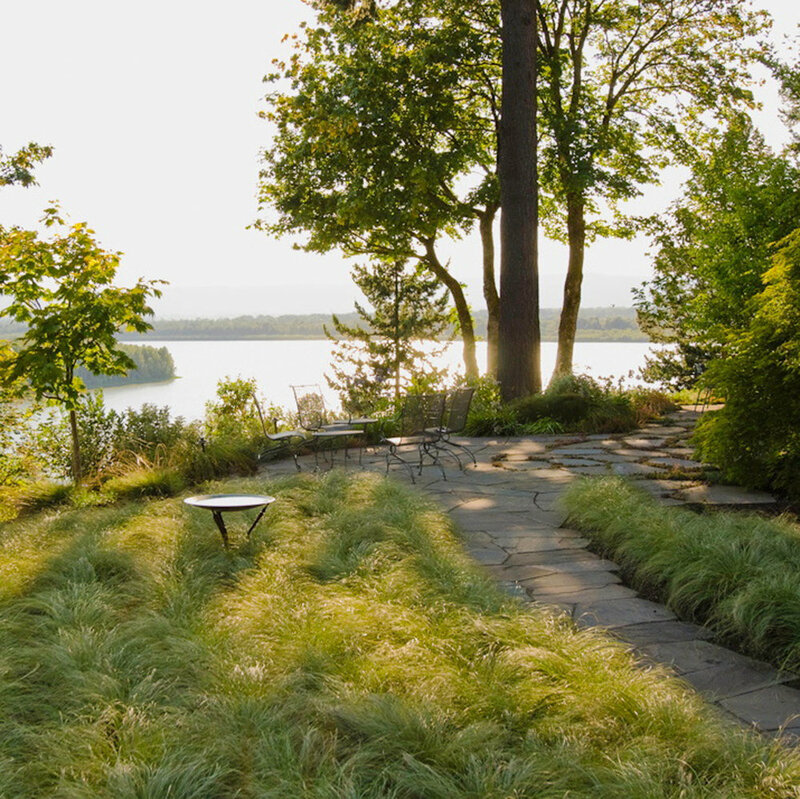 Emphasis on a distant view marks this site-sensitive garden. 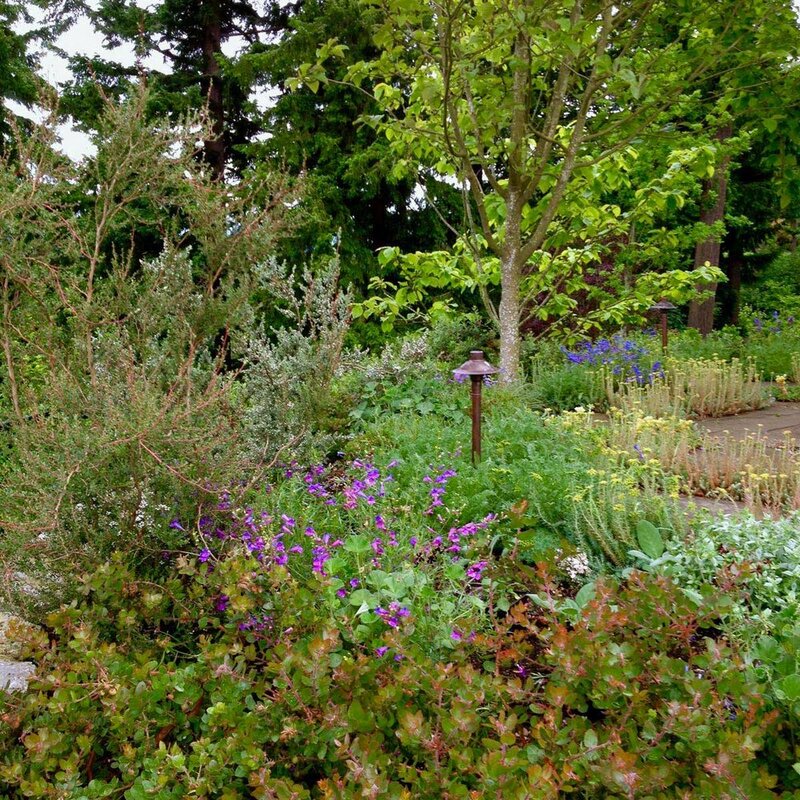 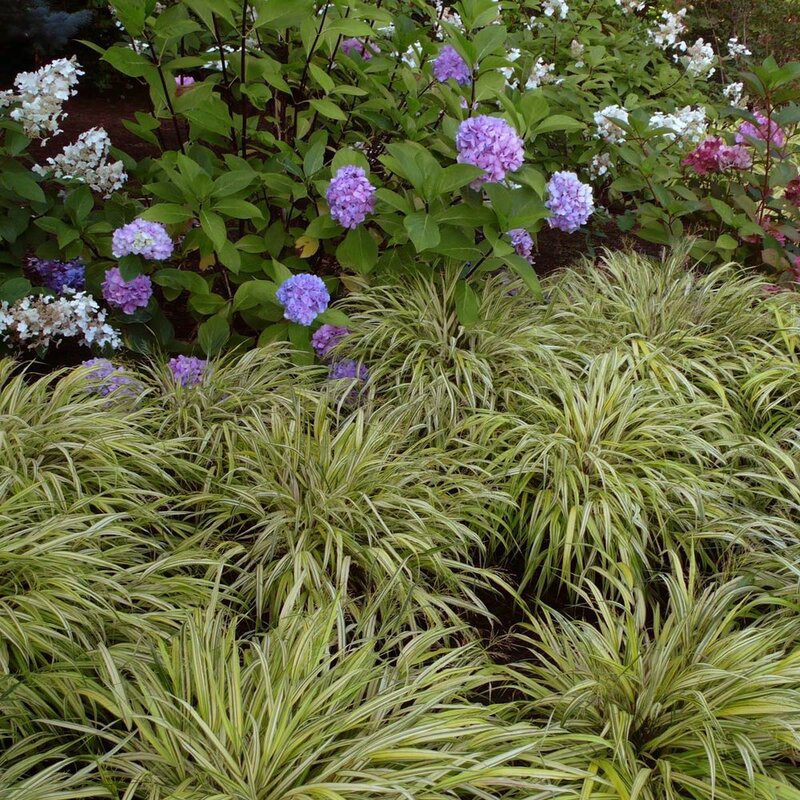 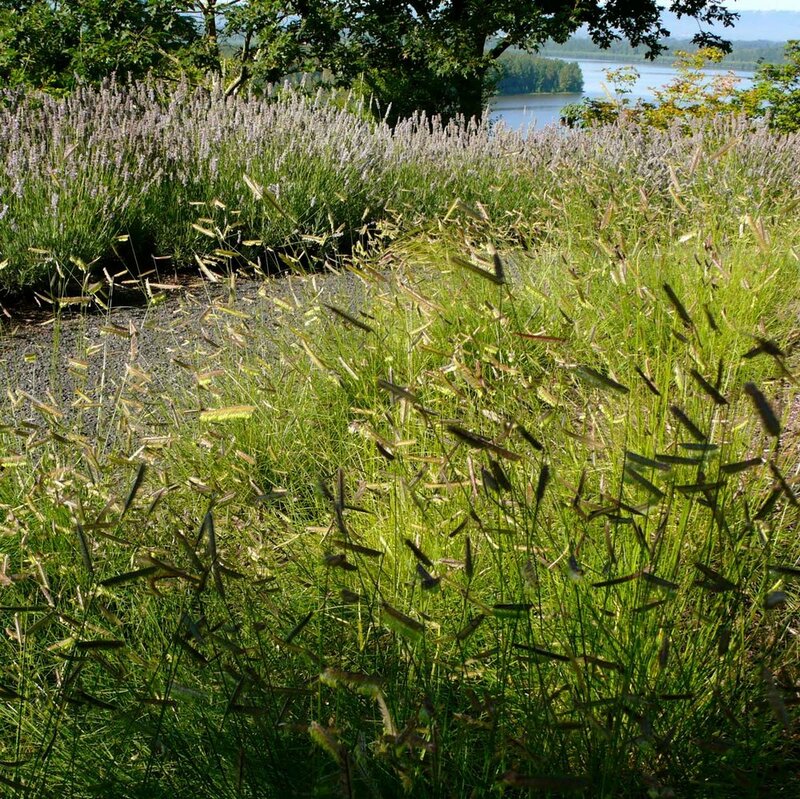 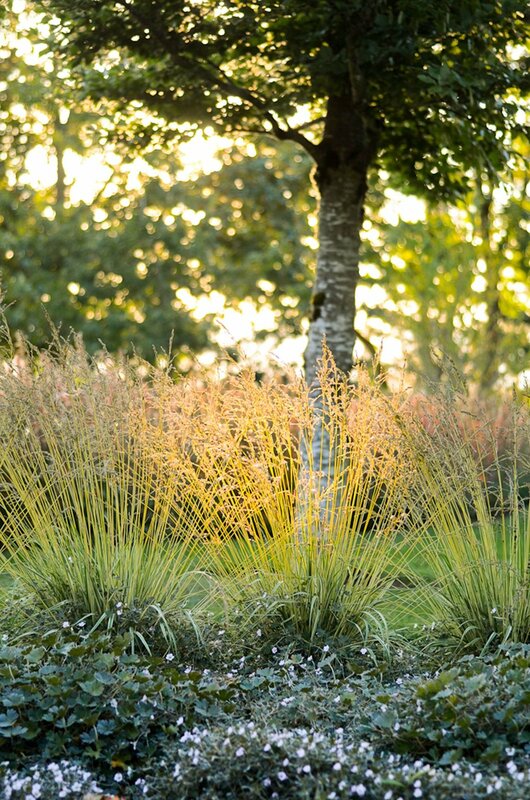 Texture, color, and composition combine to form a rich and harmonious garden renovation plan. 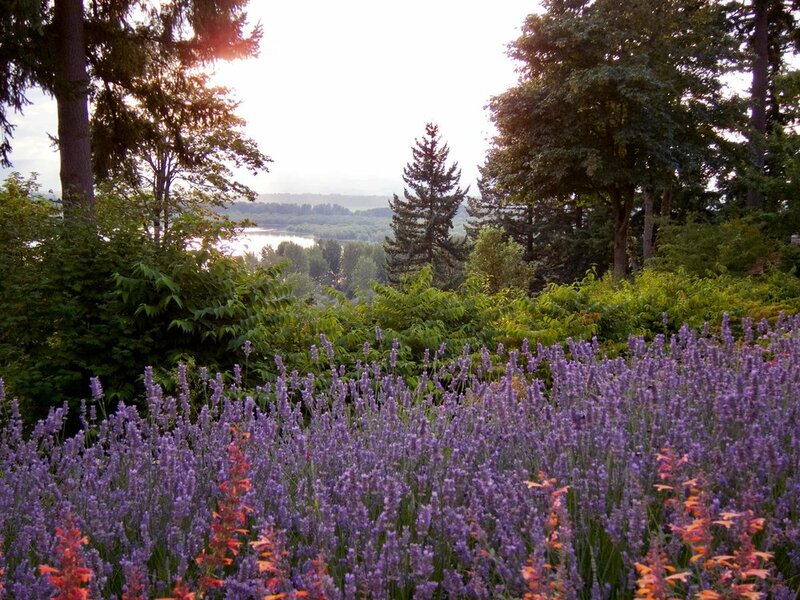 The garden is designed to let your eyes focus seamlessly toward the view.